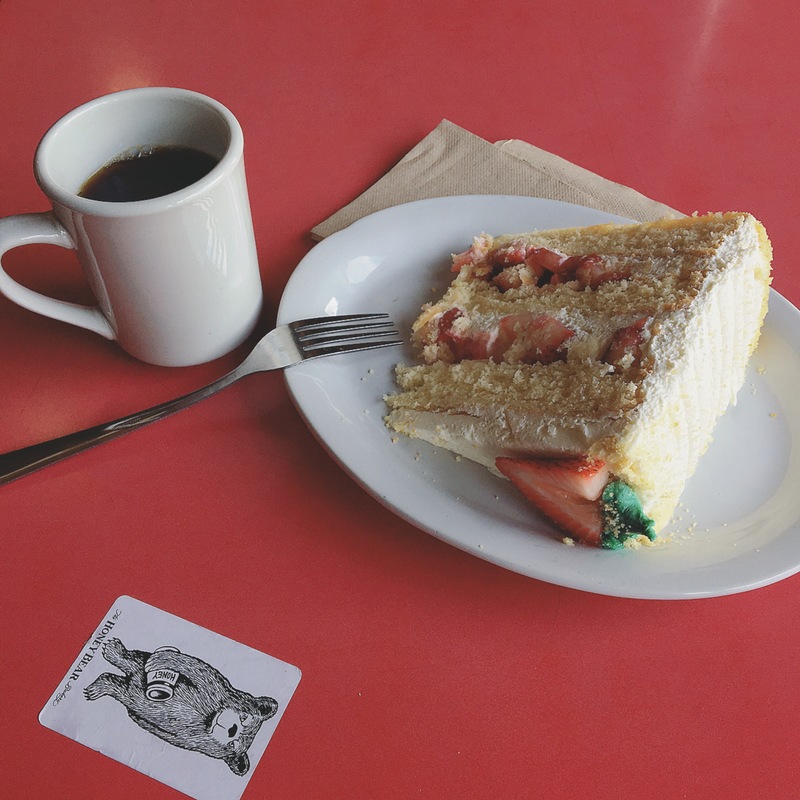 When I don’t feel like making the drive to Little Oddfellows for a slice of their cake of the day, you can find me at Honey Bear Bakery! It’s so close to my home and I don’t have to pay for parking. They typically offer 2 or 3 cakes of the day, and it’s always nice to have options. This is a chiffon cake iced with house made whipped cream and stuffed with fresh strawberries. It was everything I could have hoped for! Light, sweet, but not too sweet, and felt very ‘of the season’ as I ate this bright cheery cake with the sun shining through the bakery window. This cake makes me want to make a chiffon cake so badly! Maybe a lemon chiffon stuffed with blueberries… mmm goddamn.